Peugeot gave the 208 three-door, right, different styling treatment than the five-door, left, to improve sales. CASCAIS, Portugal -- Peugeot wants to win more women buyers for the new 208 subcompact car, one of the brand's most crucial models. The 208's predecessor, the 207, was "sometimes considered too expensive and too masculine," Gaetan Demoulin, a Peugeot product, marketing, and strategy executive, told Automotive News Europe at the car's press launch here. Peugeot hopes that appealing to a wider range of customers will help the brand regain leadership in the subcompact segment, Europe's largest by volume. The 206 was the best-selling Peugeot model of all time and led the segment for five years from 2001 to 2005. It successor, the 207, was No. 1 for two years from 2007 to 2008. Last year, the Ford Fiesta topped the chart. To boost 208 sales, Peugeot seeks to draw more women buyers with a softer "feline" design and a starting price of 11,950 euros. Another feature that Peugeot hopes will appeal to women is the small steering wheel that allows increased visibility of the dashboard controls. 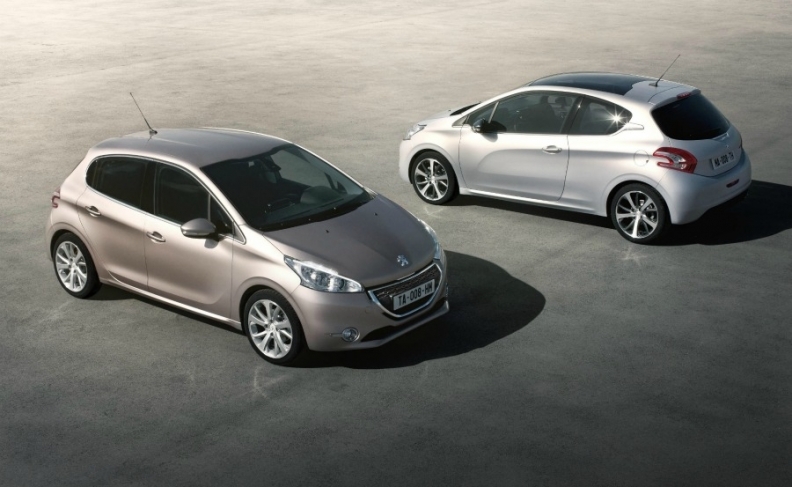 Peugeot recognizes that winning back the top spot will be tougher than in the past. Currently more than 25 carmakers compete for Europe's buyers of smaller cars, compared with 16 in 2001. Asian rivals, such as Kia with its new Rio subcompact, are raising their game with better design and improved interiors. Base price: 11,950 euros (France). Target buyers: All car buyers, but with more emphasis on women and second-car owners. New Technology: A 7-inch touchpad screen to manage route guidance and mp3 files from smart phones with a Bluetooth or USB connection. A parking-assist system that offers hands-free parallel parking. What's good: The 208 weighs 173 kg less than the 207 and is 600mm shorter in length, making it a faster and lighter car, especially for urban driving. What's bad: The very small steering wheel may not appeal to some drivers. The touchpad screen is less responsive and requires greater force to control compared with the responsiveness of smart phones with tactile screens. Where built: Poissy and Mulhouse, France; Trnava, Slovakia; Porto Real, Brazil. Annual sales forecast: 550,000 worldwide; 420,000 in Europe (2013). CO2 emissions: 87 g/km (68 hp 1.4-liter diesel). Peugeot also hopes to sell more three-door versions of its 208. The 207 three-door represented 10 percent to 30 percent of total 207 sales, depending on the market, Demoulin said. "Our three-door penetration was inferior to that of our competitors in the subcompact class," he said. "This is why we made the 208's three-door design distinct from that of the five-door."